Bentley has released details about the new Continental GT, ahead of its official unveiling at the Frankfurt Motor Show in a couple of weeks. 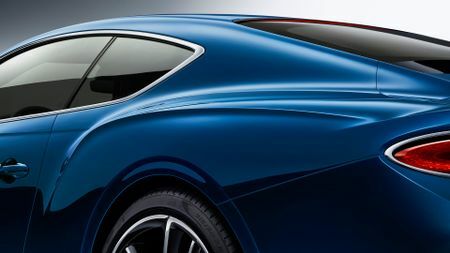 The third incarnation of Bentley’s four-seat grand tourer will be longer and lower than its predecessor, with a lighter body that’s made with extensive use of aluminium. The car will be powered by an enhanced version of Bentley’s twin-turbocharged 6.0-litre W12 petrol engine giving 635PS, and it’ll be mated to an eight-speed twin-clutch automatic gearbox. The new Conti will dispatch the 0-62mph sprint in just 3.7 seconds, and will power onto a top speed of 207mph. 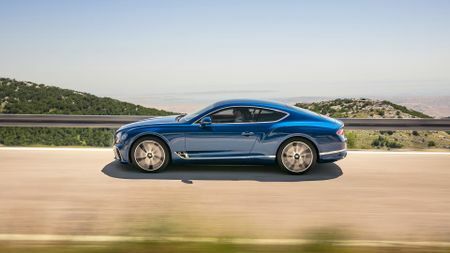 Like before, the new Continental GT will ride on air suspension, but this time with a new, super-clever roll control system known as Bentley Dynamic Ride. The car will also have an active all-wheel drive system that varies the front-to-rear torque split depending on the driving situation, rather than the fixed 40/60 front-to-rear split of its predecessor. A drive mode selector will allow the driver to choose between three modes – Comfort, Bentley and Sport – with each mode adapting the behaviour of the engine, gearbox, suspension and other chassis systems accordingly. There’s also a configurable mode that allows the driver to specify their own settings. 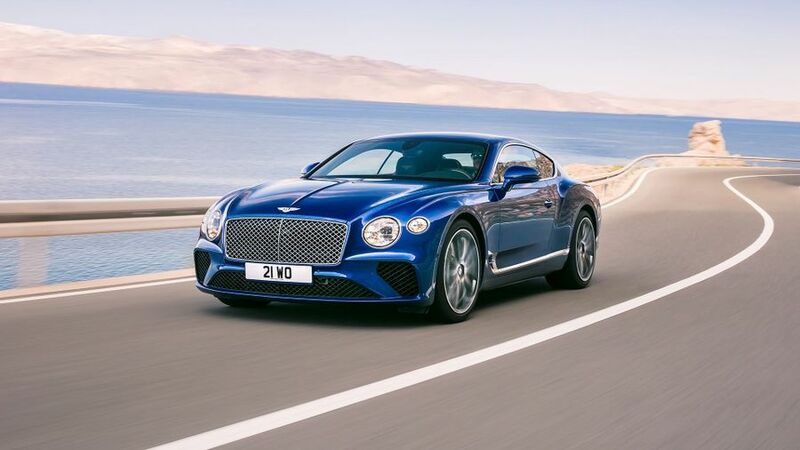 As always with a Bentley, ownership of the new Conti GT will involve an incredible amount of choice. There are 17 standard paint colours, around 70 more in the extended palette, and there’s also a bespoke colour-matching service. 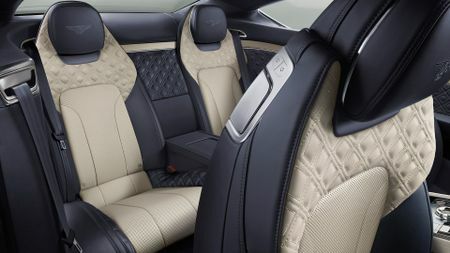 There are 15 choice of leather upholstery, the same amount of carpet options, and 12 choices of wood veneer, of which each car has more than ten square metres. On top of that, you have virtually limitless personalisation options – in terms of aesthetics and luxury lifestyle equipment - through the Mulliner personal commissioning division. If you’re ever lucky enough to step inside the GT’s cabin, expect to see the high-quality materials - woods, leathers and polished chrome finishes – and painstaking attention-to-detail that are classic Bentley trademarks. 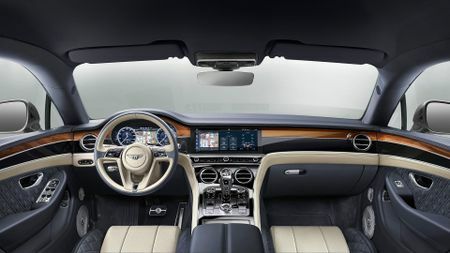 And, with the interior, Bentley’s aim was to combine all that opulence with the latest cutting-edge technology. 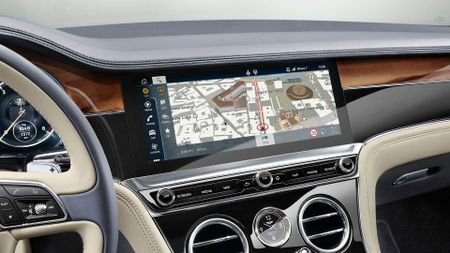 To that end, there’s a set of configurable digital dials positioned behind the steering wheel, along with a 12.3-inch touch-screen infotainment system that has a neat party trick. The screen makes up one side of a three-sided unit that rotates to reveal either the screen, a veneer panel or three analogue dials. Imagine James Bond’s number plate, and you’re just about there. Like all Bentleys, the third-generation Continental was designed and engineered in Britain, and every example will be handcrafted at the company’s HQ in Crewe. Its UK on-sale date and price are yet to be confirmed.